Are you looking for organizations in Labrador that fall in the category of Electronic Equipment & Parts? Why not call Lighting Empire on (07) 3341 0008. 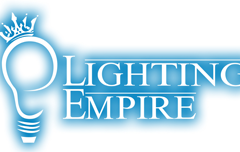 Lighting Empire: Specialize in Led Ceiling Fans, Pendant Lights, LED Down lights, Wall Lights, Bathroom Heaters, Etc.